Justin Sun is a percussionist, arts administrator, and teacher in San Francisco. 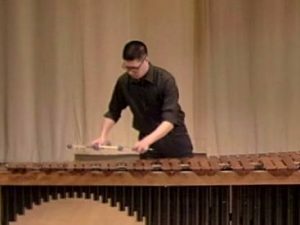 Specializing in the marimba, Justin’s repertoire extends beyond traditional percussion literature through transcriptions and adaptations of works by J.S. Bach, Astor Piazzolla, Claude Debussy, and many more. Prior to moving to the Bay Area, Justin taught at many schools in Southern California including Woodbridge High School and Ayala High School. Justin currently works at the San Francisco Conservatory of Music and teaches the front ensemble at the Blue Devils.